We built the most complete solution for residential property managers, and we are here to help you successfully implement from day one. Getting Propertyware up and running couldn’t be easier with the help of our dedicated implementation services team of professionals, here to make sure everything runs smoothly from day one. Switching to a new platform can be challenging, but when you become a Propertyware owner, you not only get the complete, integrated solution, you also get a team of implementation experts to make the transition as painless as possible. Every Propertyware customer is partnered with a personal Implementation Consultant (IC) who will guide you through the implementation process every step of the way. You don’t have to do it alone. Our experts work directly with you, side by side, to get your account properly configured to your unique needs, with little disruption to your business. Making the transition from your current property management software is simple. 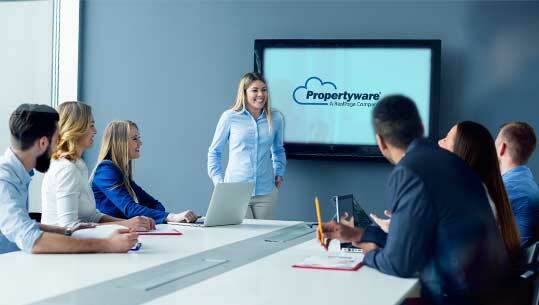 We can quickly and easily migrate all of your property, owner, tenant and vendor data into your new Propertyware account, while moving your data over to the Propertyware cloud. Prior to data migration, you’ll have the opportunity to audit your data and identify any anomalies. If you’re moving from an application not listed, we can even help tailor a plan to help you transfer your data and move it to your new Propertyware account.